It was not Japanese aviation's proudest day when All Nippon Airways was selected to sponsor the re-rehabilitation of bankrupt Skymark Airlines, the country's third-largest airline. Putting Skymark under the wing of ANA thereby returned air transport to an ANA-JAL duopoly that the Japanese government has for years worked in vain, and perhaps unenthusastically, to prevent. Now foreign forces may reverse the situation in a challenge to Tokyo's preferred political outcome. Airbus and lessor Intrepid represent the majority of Skymark's debt, allowing them considerable weight over Skymark's restructuring plan – if a Tokyo court, undoubtedly under political pressure, gives airtime to non-Japanese concerns. At the centre of the dispute are Skymark's discarded A330 and A380s that are customised and difficult to place with other airlines. It appears Airbus and Intrepid expected ANA to offer a satisfactory solution for the aircraft but now there is none. Airbus and Intrepid may prefer Skymark to restructure with the help of a different airline that will remedy the A330/A380 situation. Skymark has been shopped around to most of the world's airlines; China's HNA put in an offer; Delta could be a candidate, still lacking a Japan solution. A Skymark independent of ANA is in Japan's interest, if the country can accept a foreign airline as its partner. Skymark for years was a quiet success story, even something of an under-achiever, and was profitable (see graph below). Its downfall was rapid as it embarked on over-expansion and lost site of its core business. This has been represented in the media by Skymark's failed wish to mount a huge business transformation from a domestic-only operator to flying all-premium A380s on long-haul routes. But as CAPA has previously noted, the A380s were only a part of Skymark's troubles, and the aircraft by themselves did not necessarily mean bankruptcy for Skymark. Skymark had previously embarked on over-aggressive expansion that turned its once-profitable domestic market into loss. This was a challenge not only to the current business but future plans: Skymark had planned to pay for the A380s with profits, rather than through debt financing. In addition to over-expansion, Skymark was caught in the middle of a changing Japanese marketplace. It was not sufficiently low cost (or low priced) to stimulate growth as other new LCCs have done – Peach, Jetstar Japan. Nor did Skymark move upmarket enough to capture corporate traffic or opportunities from foreign airlines looking for partners. Skymark had no loyalty programme, could not even handle interlines, and until recently did not have flexible tickets. Skymark was run top-down by its quirky CEO and part-owner Shinichi Nishikubo, who exited the carrier at the time of its bankruptcy filing. The airline without Mr Nishikubo is a scenario employees could not have imagined. Skymark finds itself with an opportunity to change its business and seize new opportunities – but it is held back by the legacy of Mr Nishikubo, who pushed for the A330s and A380s despite internal objections. Airbus in 2014 cancelled the contract for A380s when it became apparent Skymark could not pay and two of the aircraft were due to receive an interior fit out, a process that would have been expensive and likely need to be replaced if the aircraft were to be placed with a new operator. Skymark owes Airbus for the entire A380 contract, but it is the two built A380s which remain most challenging; they are in storage in Toulouse, one with a Skymark livery. Within days of the Jan-2015 bankruptcy filing, Skymark grounded its A330 fleet. As will be discussed later, a series of bad decisions meant the A330s created over-capacity. 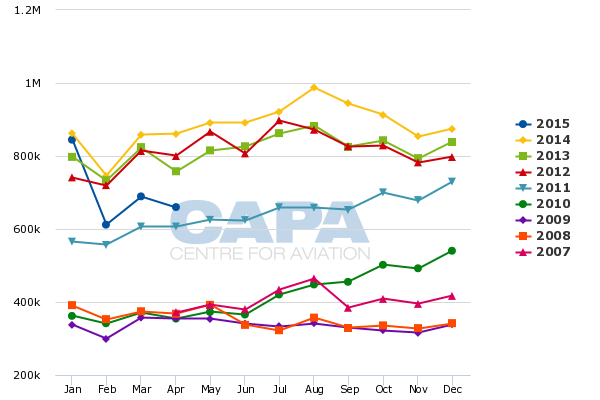 Skymark in Jan-2015 had six A330s, five on lease with Intrepid and one from CIT. Additional A330s were in various stages of production. Airbus and Intrepid jointly hold over half of Skymark's JPY320 billion (USD2.6 billion) debt. The deadline to submit a rehabilitation plan to Tokyo courts was 29-May-2015. Days prior Airbus and Intrepid asked Skymark to extend the deadline but Skymark said it filed its plan as scheduled. Intrepid also filed its own independent plan, details of which are unclear. Skymark said it expects a meeting with creditors in Jul/Aug-2015. In Apr-2015 Skymark announced ANA had been selected as a rehabilitation partner with ANA to take a 19.9% stake, later reduced to 16.5%. At the time of the deal, it appears Airbus and Intrepid expected ANA to offer a solution for Skymark's A380s and A330s. This included ANA taking the A330s, possibly for use at its two LCCs. The full nature of the process and the respective motives until now is unclear. Although ANA would have a minority interest in Skymark and gain a potentially large benefit to itself, it was expected ANA would clean up the baggage of Skymark's unwanted aircraft. That is a critical part of the deal any private equity or other investor would be challenged to address. In addition to ANA and Integral, a private equity firm, Skymark's restructuring is being sponsored by UDS Airlines Investment Limited Partnership, an investment fund established by the Development Bank of Japan and Sumitomo Mitsui Banking Corporation (SMBC), in which the Development Bank of Japan (DBJ) and SMBC have invested equally. The fund will support Skymark and is managed by DBJ and its subsidiary DBJ Corporate Mezzanine Partners Co Ltd.
See related report: ANA takes 20% of Skymark Airlines. 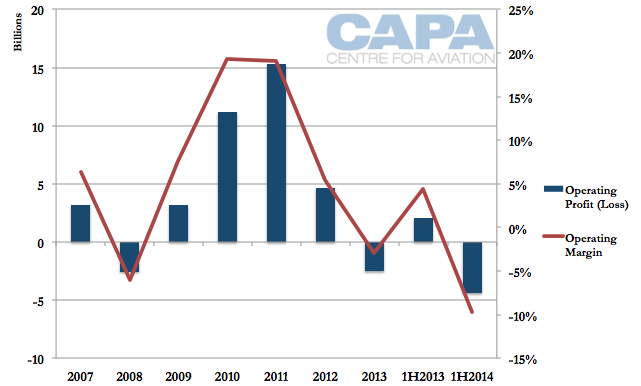 A loss of independence, or irrelevant as focus shifts to LCCs? With ANA not interested in the aircraft, Airbus and Intrepid face the scenario of their debts – the A380s and A330s – not being paid back. Thus arises the possibility of alternative restructuring plans with a different partner airline, one that will offer a solution for these embattled aircraft. Airbus commented: "If Skymark submits the plan (that involves ANA's sponsorship), there is a significant and realistic risk that it would not be able to gain the support of major creditors, including Airbus." The A380 is a niche aircraft, thus making it difficult to place Skymark's aircraft. There is a further challenge with structural elements – wiring, plumbing – accommodating the planned interior for Skymark. Even if the seats have not been installed, placing Skymark's A380s with another operator means using Skymark's basic configuration or undertaking expensive work to change the aircraft to a new spec. Neither scenario is ideal. The cost of interior changes means airlines would look for a significant discount on the A380s. There was industry speculation IAG looked at the Skymark A380s for its British Airways operation, which already flies A380s. IAG CEO Willie Walsh remarked in Apr-2015: "I have been interested to hear some comments in relation to the likely arrival of some second-hand A380s. We are always open to looking at something that would be of value to us. But I think it's still a few years away...I've told Airbus if they want to give us a couple of A380s for nothing I'd be very happy to take them." The A330 as an aircraft programme is a more common type and in hot demand. The challenge is Skymark's A330s were, uniquely, in all-premium economy configuration and without in-flight entertainment. While a number of airlines initially showed interest in the A330s, none wanted an all-premium economy configuration. Skymark was the first airline to have such a configuration and re-modelling the interior fit-out to a more common business/economy configuration was too costly for the price Intrepid wanted to lease the aircraft out for. There are a number of significant short-term implications for Airbus regarding the Skymark situation, but there is also the longer term possibility of being alienated from ANA, a large airline. Airbus long tried to crack Boeing's hold on the Japanese market. 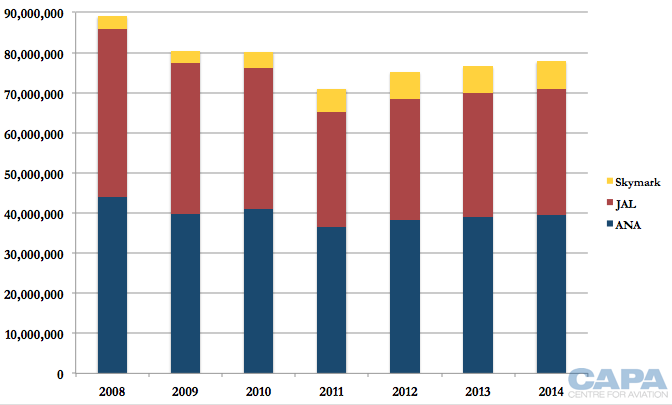 Placement of narrowbody aircraft were not seen as major wins. JAL's A350 purchase was a solid effort, but it seems whatever the outcome of Skymark and debate over ANA's ability to help with the A330s and A380s, the relationship between Airbus and ANA is damaged. Since Skymark's situation deteriorated, Airbus has made limited public comments and tried to exercise diplomacy. It is sensitive about the A380, whose economics have routinely been challenged. For obvious reasons Airbus did not want a scenario of the A380 being associated with bankrupting an airline. Now it seems ANA and Skymark have exhausted Airbus' patience. There was an inflection point for diplomacy, but the task now is to recoup costs. Some expect Airbus to carefully allocate Skymark's A380s: rather than offer a fire sale on the aircraft, Airbus wants to ensure the aircraft are placed with a solid operator. Airbus does not want A380s going to another weak airline that could later experience trouble, thereby once again linking the A380 to economic weakness. For ANA, the relationship with Airbus is a potential casualty, albeit not a very important one. Airbus comprises 15% of ANA's fleet by hull count. These consist entirely narrowbody aircraft, which are low margin. 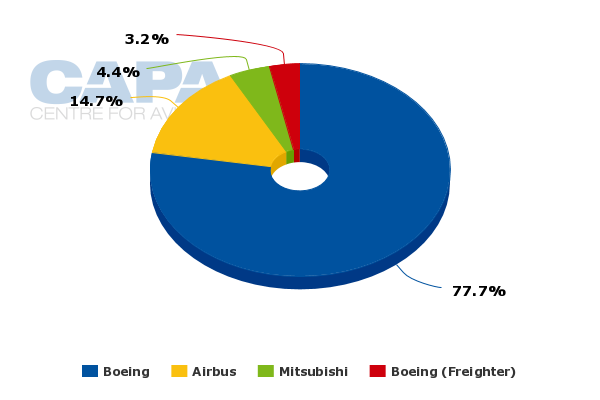 Higher margin widebody aircraft at ANA are the exclusive domain of Boeing, which comprises 78% of ANA's fleet. 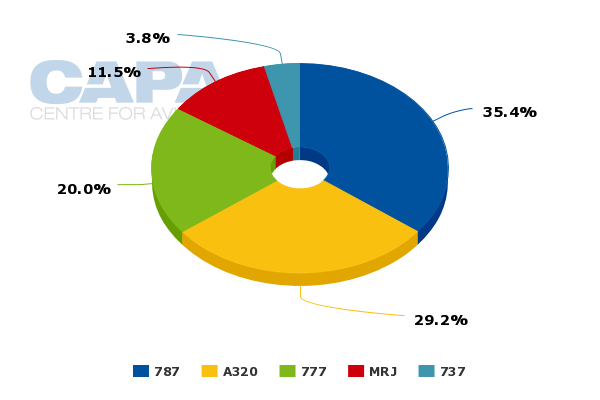 Of ANA's aircraft on order, 29% are from Airbus, and again all for narrowbodies. ANA has effectively ordered narrowbody Airbus aircraft to create some leverage between the aircraft manufacturers, but the narrowbody aircraft orders are seen as a token effort by ANA towards Airbus. 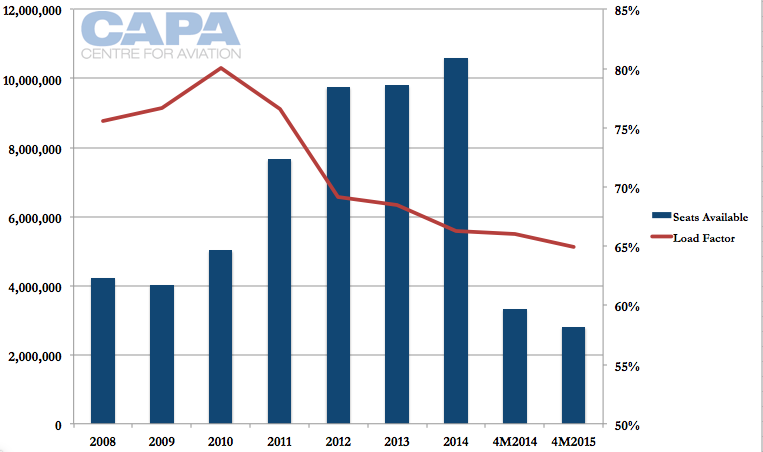 Creditors seek a new airline partner – Delta? Will Tokyo bless a foreign airline? In an official statement, Skymark said Intrepid's plan was “not clear at all.” Skymark said the Intrepid proposal has not yet disclosed how much money will be paid back to the creditors. 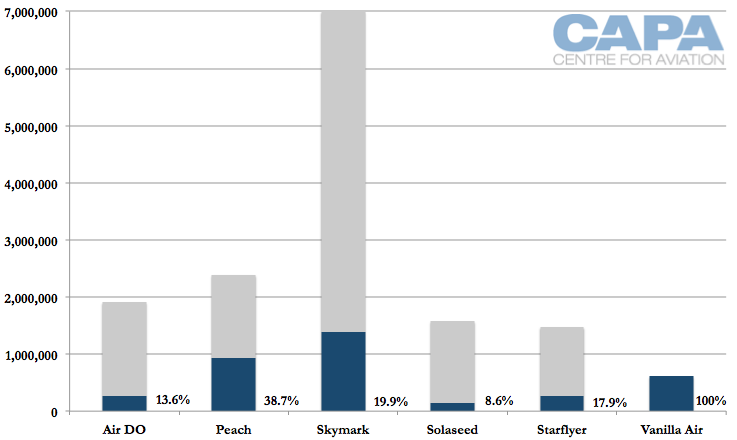 Skymark said its rehabilitation plan is “feasible and the most beneficial to rehabilitation creditors and therefore it will be able to obtain the consent from the majority.” Skymark argues Intrepid’s plan assumes that Skymark will pay back 3% of its debt, less than the 5% in the carrier's own proposal. If Airbus has submitted a rehabilitation plan, it is unknown. Intrepid's plan reportedly proposes an unspecified airline to sponsor Skymark instead of ANA. However, since Intrepid's plan was filed the lessor has said it is in discussions with a number of airlines, naming only Delta, which has reportedly shown interest. Prior to ANA's selection in Apr-2015, a number of carriers expressed interest in Skymark, including China's HNA. 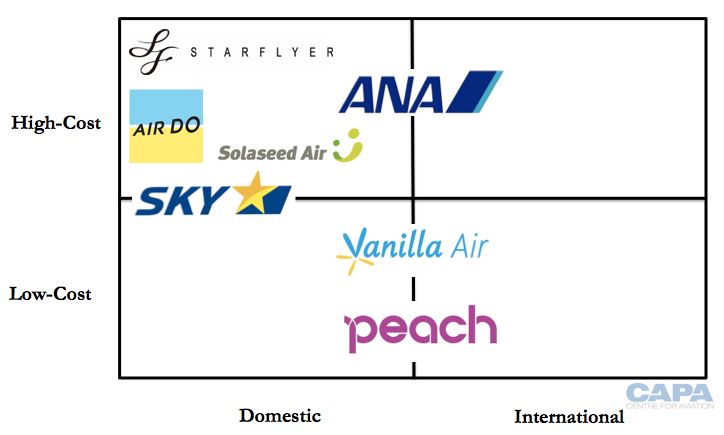 As seen in the next two graphs, the appeal of Skymark is not in its overall size; it carries only a fraction of the domestic passengers that ANA and JAL do. The interest is – as bmi's was at Heathrow – in its slot portfolio at constrained Tokyo Haneda airport; Skymark is the third-largest holder of slots, with a share far higher than its overall share of the Japanese market. However, Skymark's slots – all domestic – cannot be shifted to international usage. Japanese airlines do not own their slots and could not freely transfer them to a new partner. So the interest in Skymark must be about its current domestic network and not flipping the slots to more lucrative segments. A foreign partner would also be interested in Skymark's future ability to grow internationally – but probably only around regional Asia. Delta tried hard to woo JAL as it was coming out of bankruptcy and could be considering a joint venture with Korean Air; its North Asian partnership strategy still requires definition. Another wrinkle is that Delta has not had favorable relations with Tokyo. This stretches historically when merger partner Northwest was considered to be exploiting fifth freedom traffic rights. More recently Tokyo was taken aback by Mr Anderson's visit to Japan and bold calls to be given a handful of Tokyo Haneda slots – a clearly impossible ask. Reports have said United Airlines could be examining an A380 purchase which would include the two A380s for Skymark. It is unclear if ANA, United's joint venture partner across the Pacific, could be associated with this deal and thereby gain Airbus' blessing for its involvement in Skymark. However, United has since said the A380 is not in its immediate plans. 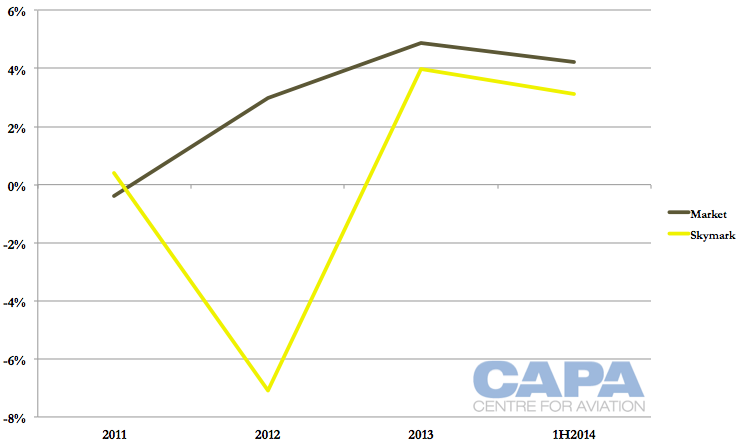 CAPA has favoured a future for Skymark that sees it remain as the challenger to ANA and JAL. This is a concept termed locally as Japanese aviation's "third arrow" (ANA and JAL being the first two). Skymark expects to return to operational profitability in Jul-2015. This would be without a strategic re-positioning that could create further value from Skymark, such as by making inroads into the corporate market and pursuing a partnership strategy, amongst other initiatives. Skymark's historical success has been based on efficiency and volume, featuring a higher load factor than ANA and JAL. 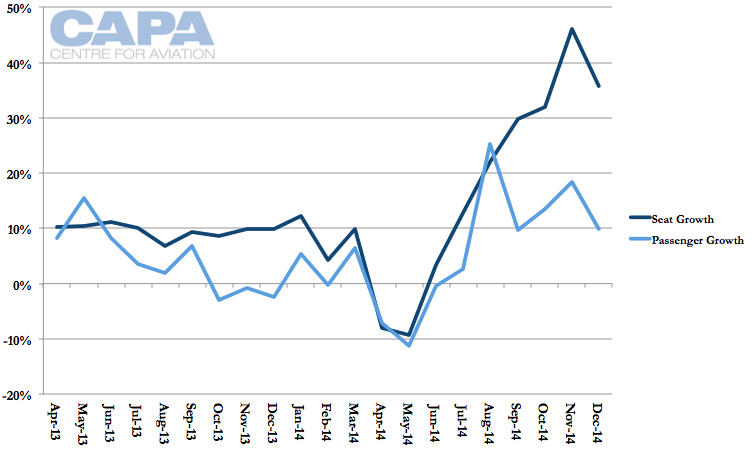 Skymark's basic business selling point changed as rapid capacity growth occurred faster than demand, leading to a dramatic drop in load factor to around ANA and JAL's level. Since bankruptcy, Skymark has unwound growth. 2014 capacity was at record levels, but 2015 capacity is now below 2012 levels (see graph below). Amidst consumer uncertainty, load factor has taken some time to recover; the load factor for 4M2015 was actually below 4M2014. But as the situation settles, confidence is restored and Skymark improves selling on its reduced network, there should be a recovery. 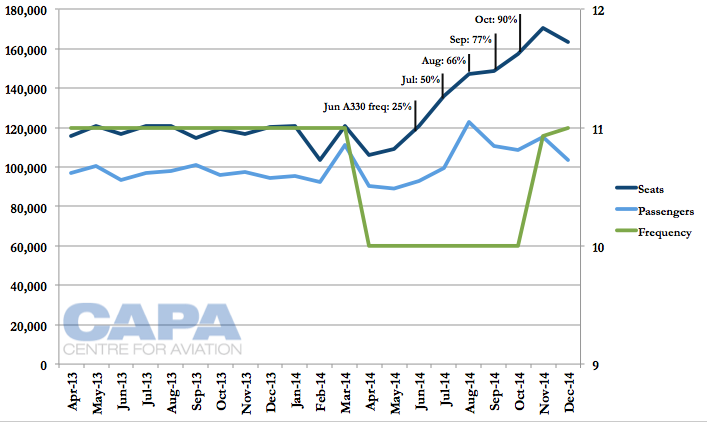 Already Skymark's Apr-2015 load factor of 82% was 20ppt higher than Apr-2014's 62%. The capacity blowout is exemplified by Skymark's A330 deployment, where seat growth occurred faster than passenger growth. 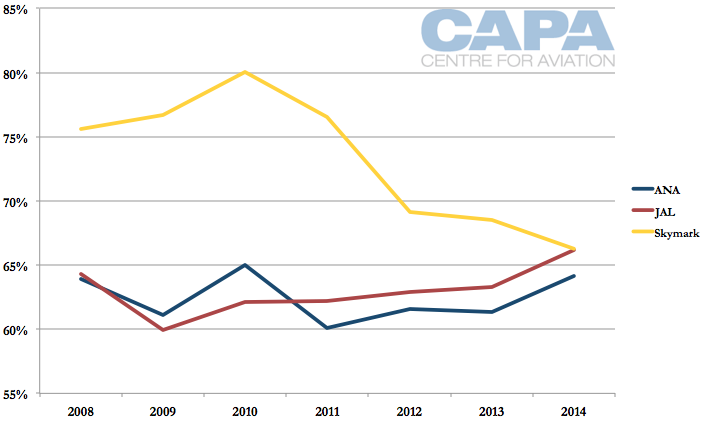 As seen on the graph below, the introduction of the A330 in Jun-2014 corresponded with an increase in capacity (and decrease in frequency – potentially a negative factor) but a far slower increase in demand. Skymark was unable successfully to sell the capacity it was adding. This reflects weakness in its middle market position, not having a low enough cost base but also not offering enough value to woo ANA and JAL loyal travelers. The passenger growth Skymark did generate was broadly in line with market averages, indicating Skymark did not have a strategic positioning to produce higher-than-average growth. In short, Skymark's challenges are not a mystery. There is much work ahead, but Japan does not necessarily need to sacrifice Skymark's independence. As CAPA has previously suggested, in the grand scheme of Japanese aviation, the Skymark deal could be seen to be a sideshow, an old boys' club squabble that does nothing for – and potentially delays development of – international markets. Growth in international visitors has become a key objective for Tokyo, looking to benefit from tourism revenues. The new LCCs are taking a lead. Despite a far shorter existence than Skymark, they already have international experience; Skymark does not. Peach is making moves on the Tokyo market, including overnight international flights from Tokyo Haneda. For all the attention paid to Skymark, there could be greater efforts to support international LCC growth – which has demonstrated clear returns with strong growth opportunities in the future. Creditors holding the majority of Skymark's debt object to the ANA deal. This is due to their own (rightful) self-interest of abandoned aircraft, not the wider prospects for the Japanese market. For now, their objections to an ANA deal and favouring of another outcome are probably aligned with the broader interests of the Japanese market, even if Tokyo does not want to acknowledge this. The question is how much Tokyo is willing to liberalise in terms of a foreign airline becoming involved with Skymark. Against Tokyo's broader political environment, it seems the outlook is preference for a closed market, benefitting select interests at the expense of broader Japanese industry evolution.